The goals of the Jazlyn J series are to give kids positive-thinking skills and guide them to appreciate all experiences in their everyday lives. 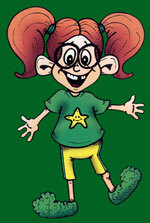 Jazlyn J, the character, is all about learning with a true appreciation for life. Thinking and being more positive in life gives kids a better chance at success in whatever they set out to do. It helps breed life skills that they’ll need in order to accept when things don’t go exactly as they planned or when they are surprised with the unexpected. Please note that we never use the word fail or failure in any of the books or speaking engagements. I encourage every parent to share in the joy of reading. Kids remember this special gift for a lifetime. At the end of each book, Jazlyn and her family share their favourite parts of the day. This is something that my own son and I started when he was four. We really looked forward to this. Each day we would save up everything that happened that was positive, good and special to us and we shared them just before going to sleep. I found he went to sleep with good thoughts in his mind and had a better night’s sleep. Since writing these books, many parents tell me that they have shared favourite parts of the day with their children and enjoy that time with their kids. I reserve any serious discussions or concerns of the day for dinner time or after dinner when the family is together, or when he would like some quiet time together to talk things out. Each book represents a letter of the alphabet. Each book touches on a topic of importance for kids ages 3-9. Jazlyn J is a spunky, high-spirited tomboy character. Her favourite colour is green. She wears a different pair of green slippers in every book. She always wears her hair in pigtails. Her favourite number is 7. Her favourite sports are hockey and soccer. At the end of each book, Jazlyn and her family share their favourite parts of the day.